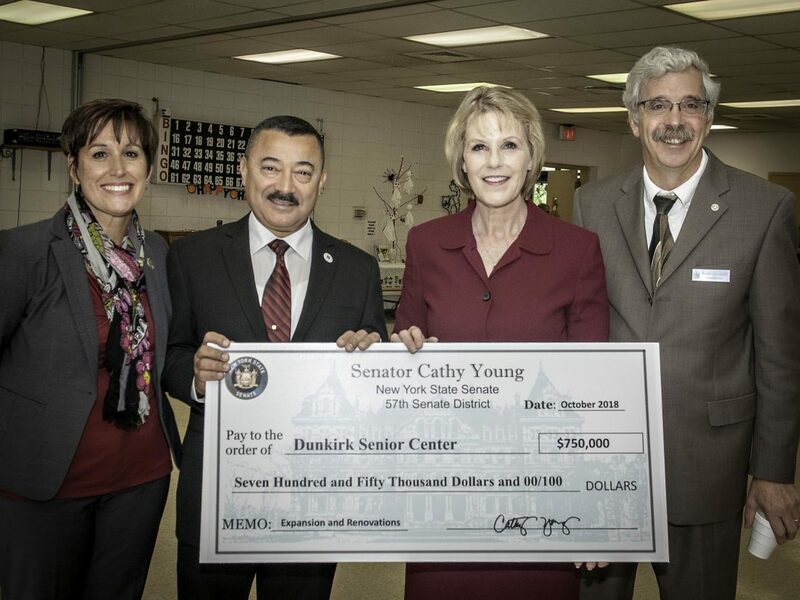 With a growing senior population and increasing need for services, Senator Catharine Young (R,C,I-57th District) announced that she has secured a $750,000 State and Municipal (SAM) Facilities grant to fund an expansion and renovations to the Dunkirk Senior Center. Senator Young was joined by state, county and city officials in making the announcement, which was held at the Center. Renovations will be carried out in phases, in conjunction with available funding. This first grant award will finance the largest component of the project: an addition of approximately 2200 square feet that will include a 30×50 activities area; two bathrooms with showers; two doctor’s offices and clerical offices.